Does Seahawks quarterback Russell Wilson really want out of Seattle to play instead for the New York Giants? That was the juicy rumor passed along Wednesday morning by FS1 talk show host Colin Cowherd. If you listen to all of the five or so minutes of Cowherd’s discussion on this topic, though, that sentence above is a little meatier than what Cowherd actually said. Cowherd said it’s not Wilson who wants out of Seattle so much as his wife, entertainer/singer Ciara. That’s a little different from saying Wilson himself wants out of Seattle and has targeted the Giants. While no one is going on the record, my understanding is Wilson has not told Seattle anything like that, and in fact, there have been no talks between Wilson and the team about his contract, with his current deal running out after the 2019 season. As I wrote earlier this month, though, nothing should be read into the fact there have been no talks yet. If the Seahawks and Wilson are to get a new contract done this offseason, it will likely happen in the spring and/or summer, the typical time frame when Seattle has signed players who have at least a year remaining on their current contract to extensions. It’s worth repeating there has been no contact. The Cowherd report might lead to an assumption Wilson has told the Seahawks what he might want down the road when the reality, from my understanding, is that Wilson (and/or his representatives) and the Seahawks have yet to talk about anything regarding his long-term future. Wilson’s current contract is set to pay him a base salary of $17 million this season with a salary cap hit of $25.2 million. NFL teams typically try to secure the futures of superstar quarterbacks before they enter the last season of their contracts — which as noted, Seattle did last time — leading to the thought they will try to get something done this summer. In fact, Carroll said at the end-of-the-season news conference the Seahawks hoped to secure Wilson’s long-term future before the beginning of the 2019 season. Under Carroll and Schneider, Seattle has shown an ability to get contracts done with the players they really want to keep, but on their timeline — and in this case, that means not quite yet. But it’s not going to be easy with Wilson. You can forget about him taking a team-friendly, below-market deal. Fans of every team throw out the Tom Brady example of taking a little less to help the team’s cap structure, and hope their quarterback will do the same (though it might surprise some that Brady has a higher cap hit in 2019 than Wilson does at $27 million). But taking a below-market, team-friendly, incentive-laden deal is not going to happen with Wilson, at least not now. He has every right to get what he thinks the market will pay him and the expectation of everyone involved is that that’s what he’s going to do here. So that means a contract at or above the top of the quarterback market at the time Wilson signs — the highest-paid quarterback at the moment is Green Bay’s Aaron Rodgers at $33.5 million a season. But a handful of other quarterbacks who could reset the market, such as Dallas’ Dak Prescott, can also get new contracts soon. And looming over all is the contract Kansas City’s Patrick Mahomes could get next offseason, which some have said could make him the first player in NFL history to sign a deal worth $200 million. Wilson is going to want a deal that’s in line with those, which will make the timing further tricky — sign too early and you could end up with a contract that is pretty quickly below market. 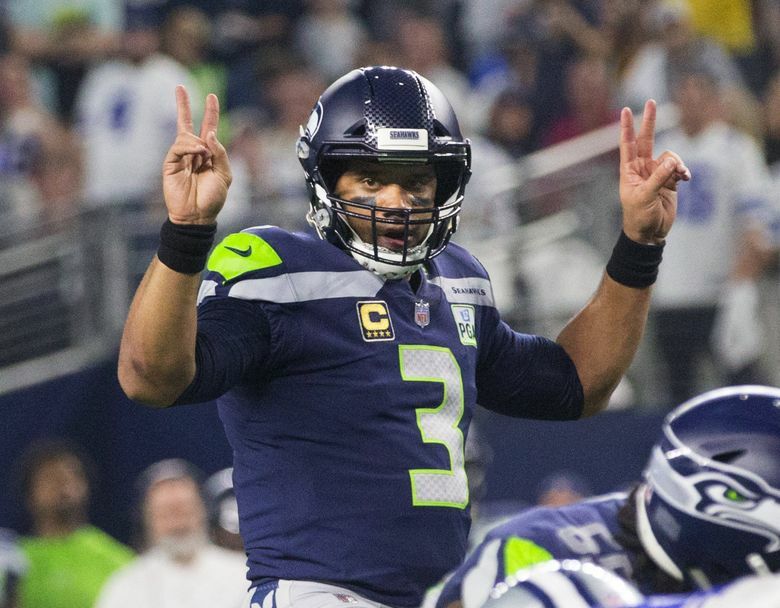 The Seahawks could also just place a franchise tag on Wilson for the 2020 season, which would pay him at least $30.3 million. But that doesn’t solve Wilson’s long-term future and is likely not really the course either side wants to take here because of the continued uncertainty it brings. Also a complicating factor is that the collective bargaining agreement (CBA) runs out after the 2020 season. It’s unclear if a new CBA will change the franchise tag structure any. But the uncertainty that it could might play into how each side approaches Wilson and a possible tag in 2020. In fact, the lingering uncertainty of the entire CBA could be a factor here. Are players such as Wilson going to want to sign long-term contracts taking them into the first years of a new CBA without knowing what might be included? • Carroll’s future. Carroll signed an extension in December taking him through the 2021 season. Is Wilson going to want to sign a long-term deal with Seattle that would take him into years when he’s uncertain who the coach will be? • How the NFL’s embrace of legalized gambling on sports could impact the salary cap. The NFL is no longer keeping any distance from gambling as more states make betting on sports legal, and one estimate last fall stated that the league could increase its yearly revenue by 13 percent or more. That will mean a rise in the cap and player salaries, and agents of marquee players are sure to take that into consideration as they negotiate long-term contracts — what’s top of market could quickly become middle of the pack. So maybe some of that sounds like reason to trade Wilson, if getting a long-term deal done won’t be easy. One thing there — any team trading for Wilson would suddenly have all the same issues in keeping him for the long-term. No team is probably going to want to give up what Seattle would want without assurances it can keep Wilson long-term. Could they get those before a trade could be made? Would Wilson want to go to a team that also might give up, say, two first-round picks, and who knows what else, to get him? And why would Carroll take Seattle back into a rebuilding mode after having undertaken a successful “reset’’ of the team this season and now entering what might well be the last few years of his coaching career (he turns 67 in September, as noted has a contract that goes through 2021)? Sure, the Seahawks could use a high choice to draft a quarterback, but we all know the crapshoot that is, and no one better than Carroll (the Carroll-era Seahawks at one time thought both Charlie Whitehurst and Matt Flynn might be their quarterbacks of the future before landing Wilson). We promise — we’ll remember, and watch and see if what are an awful lot of complicated things really ever do add up to Wilson ending up with the New York Giants.